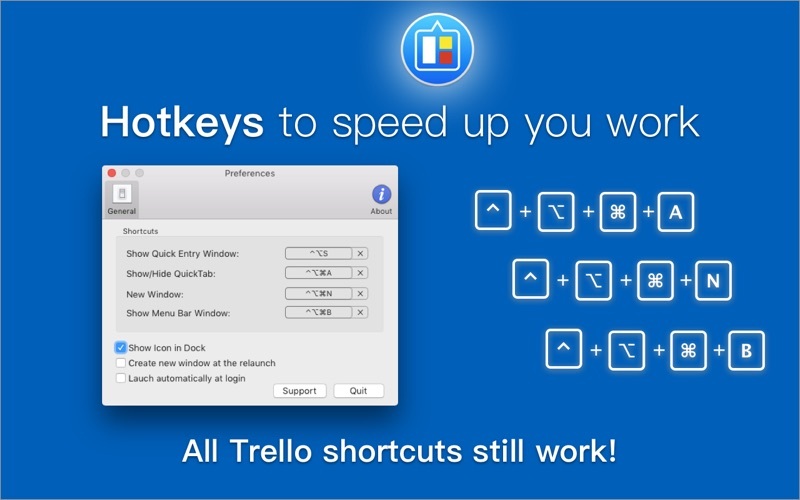 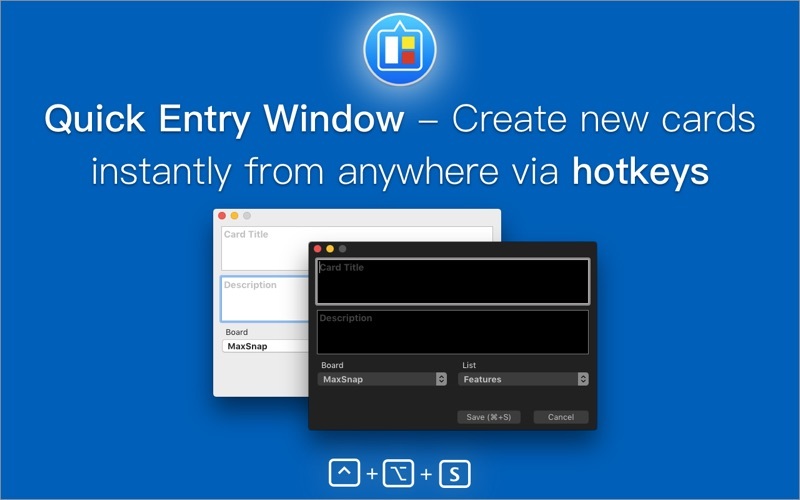 Use Trello Web without browser, create new cards instantly from anywhere via hotkeys and Quick Entry Window! 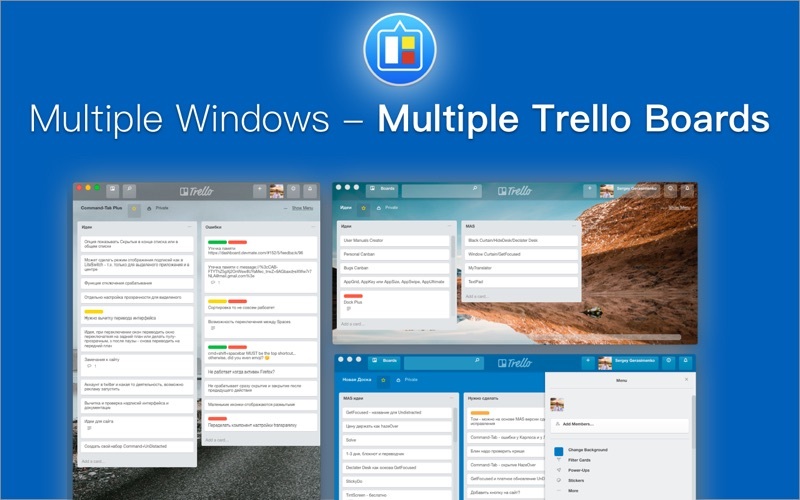 It is not convenient to work with Trello.com service using web-browser: you can’t quickly switch to Trello using the Dock icon or Comman-Tab, or a hot key, you need to switch to browser, look for the tab and search for the list that you need and so on, you get distracted and lose time. 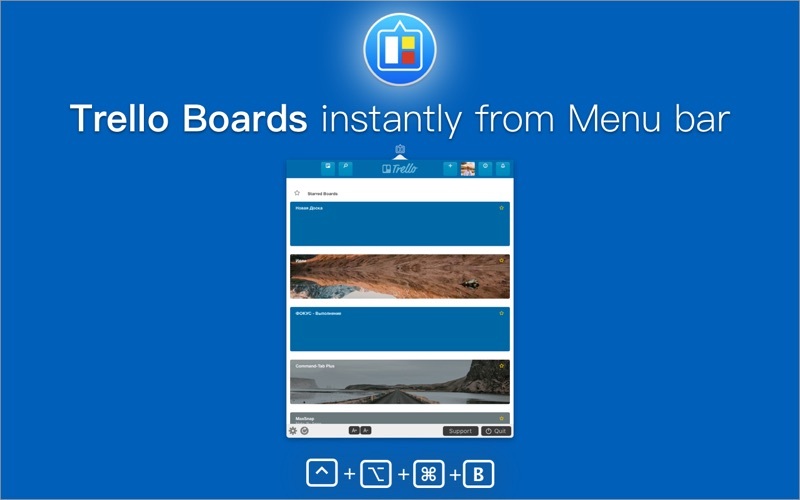 You need an Internet connection to access the QuickTab for Trello.